Rapid growth in automation demands, coupled with reduction of duties on refurbished goods in Asia Pacific region has fueled the growth of this market. Similar to computers, nanotechnology is both an enabling technology and a technology sector in its own right. Nanotechnology is prolific in the research and development of almost every economic sector, from aerospace to medicine to energy. Some analysts assert that technological change is beneficial for all groups in our society, that the changes are more evolutionary than revolutionary in nature. Nobody is sure how much the DoD will decrease spending on unmanned systems, but the fear of such cuts has spurred developers to accelerate the transition to civilian applications. Nearly all automation vendors rely on system integrator partners to take some percentage of their hardware and software products to market in the form of completely functional systems. Is 2012 The Year That Robot Applications Take Root? Tell us what apps you want. Recently there's been a clammer for (and against) a universal open-source robotic operating system. The proponents main argument is that such a system is beneficial particularly for rapid prototyping in the development of new systems while almost all of the industrial robot manufacturers argue that their robots are performing mission critical tasks which require secure and fail-safe operating systems - which they have developed and optimized over the past 50 years. New ISO Robot Safety Standards Published! The new standard requires a risk assessment be accomplished when designing and integrating new robot systems and assigns responsibilities for them. The R15.06 and Z434 will also include an update of the popular risk assessment methodology offered in the existing standards. According to Xinhua, the official press agency of the government of the People's Republic of China (PRC), Taiwanese technology giant Foxconn will deploy 1 million robots over the next three years to improve efficiency and reduce labor for tasks better suited to a robot. In early 2008 I asked my Merrill Lynch broker for a list of stocks of American robot manufacturers. He couldn't provide me with more than two. So I went online with Bloomberg and found a list of 120 companies involved with automation. When I researched them, there were only a few in the U.S. and fewer still where robotics was the principle business. Maker Faire is the premier event for grassroots American innovation. As the World's Largest DIY Festival, this two-day family friendly Faire has something for everyone - a showcase of invention, creativity and resourcefulness and a celebration of the Maker mindset. 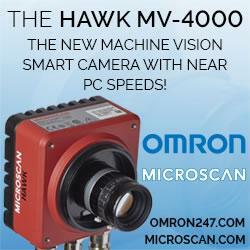 According to a new market research report, "Global Machine Vision and Vision Guided Robotics Market (2010 - 2015)", published by MarketsandMarkets (www.marketsandmarkets.com), the total global machine vision system and component market is expected to be worth 15.3 billion USD by 2015, out of which the camera & smart camera will account for nearly 27.3% of the total revenues. The global market is expected to record a CAGR of 9.3% from 2010 to 2015.